185-189 Barnard Street-- Bendigo --next to the Bendigo Bowls Club. Saturday- Play will resume on Saturday mornings depending on numbers. Contact club if you wish to seek advice about Saturday play. We play Golf Croquet and welcome players from other clubs to join us when they visit Bendigo or enter our social days which will be advised via flyers emailed to clubs. 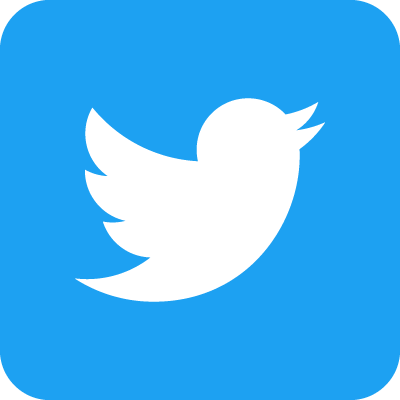 If you wish to be added to our mailing list please email us. Our club is available for hire along with tuition for all your work events, special parties, meetings etc. We delight in coaching school children. A few high schools bring their P.E. classes for games throughout the year. There is always room for more. Call us to make your enquiries. 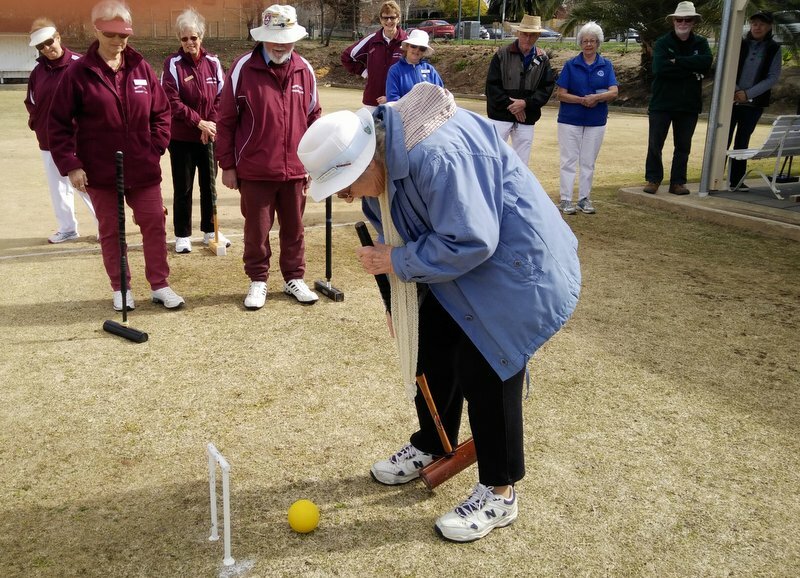 Bendigo Croquet Club has six B courts (2 A courts) and we welcome visitors and any prospective new members, at any time thoughout the year. Any questions don't hesitate to call our club contact/secretary Jenny. We are only too pleased to help. 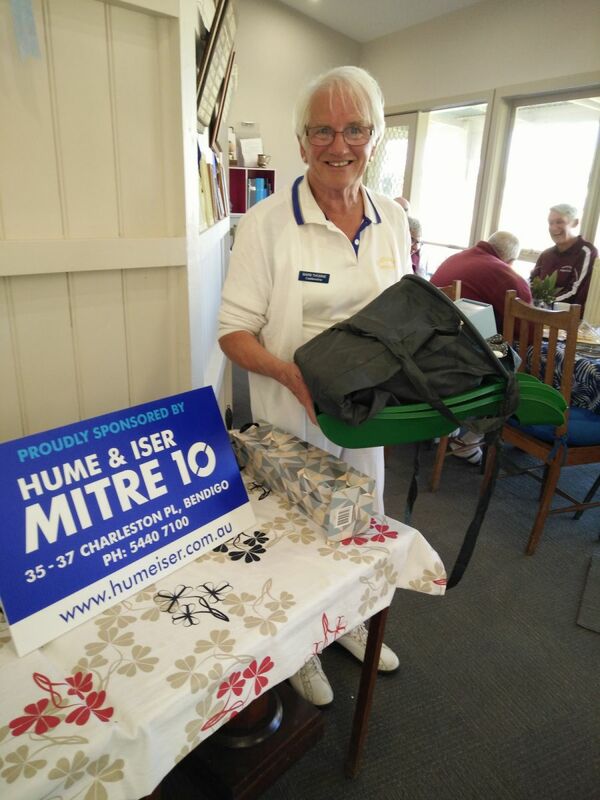 A big thank you to Jean Wharton, who opened the season for 2018 at our club Thursday 16th August, 2018. 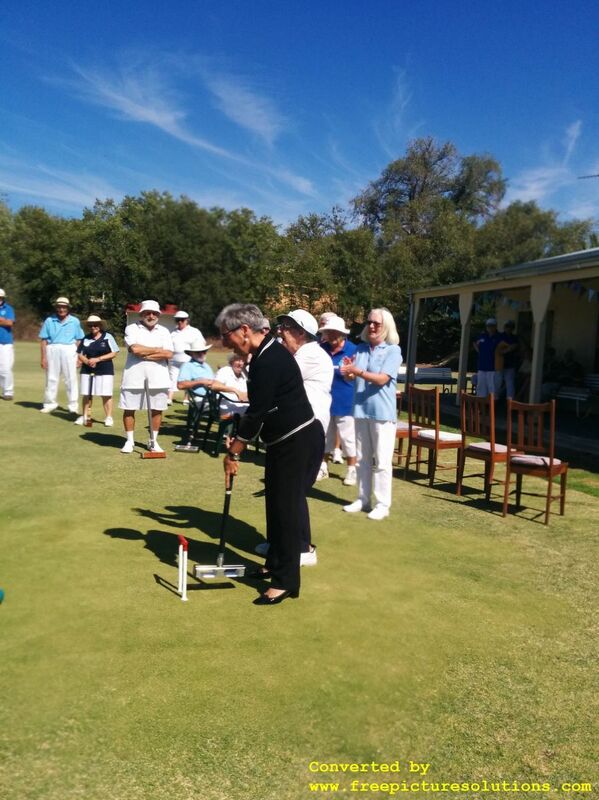 Jean is a life member of Bendigo Croquet Club and recently celebrated her 90th birthday. Members from the NDCA clubs attended to enjoy afternoon tea and social GC/Assoc games. The day was very well represented and totally enjoyed by all. Thank you to everyone for coming and bringing afternoon tea to share. Jo Bury won the selector's invitation GC 2019 3-5, Quarry Hill H'cap GC -3-5. Brian Loughran won his section to represent NDCA in the regional championships 2019 and did extremely well to win 7 games in all. We have re started our own club championship which was won by Peter Martyn 2017 and Brian Loughran 2018. We finally organised our official date to thank everyone in the re-opening of our club. So many people helped us in so many ways after the devastation of the fire in May 2015. A huge thank you to everyone involved. We were especially excited to have the Governor of Victoria, The Honourable Linda Dessau accept our invitation & were delighted when she played a ball through a hoop to mark the occasion. Champagne bottles were popped & a table full of niceties was enjoyed by all. Another successful social day. Congratulations to the overall winner, Barb Thorne. Runner up Irene Murdoch and winner of the gourmet hamper raffle, Kenny Logan. We had entries from 7 clubs which included Fred and Barbara from Wonthaggi.Thank you to Bunnings-Epsom, Hume & Iser for donations and to all our members for all your help.